Video brings your story to life and puts you in front of your target audience. By posting video to your website, newsletters and blogs that people can see anytime,anywhere on their smart phones, tablets, computers and TVs, with the click of a button you insure that your story reaches the widest possible audience. Video also brings connection. A data spreadsheet provides information but it’s certainly not going to compel an audience. The same is true for video. A talking head interview may tell your story, but if you entice them with a creative and engaging presentation, they connect with you and that leaves an impression. They’ll think of YOU the next time they’re looking for the products and/or services that you have to offer. To provide only the best professional video production services to every customer, using only quality video production equipment and materials. That excellent service, at a reasonable price, to every customer will be our guarantee. 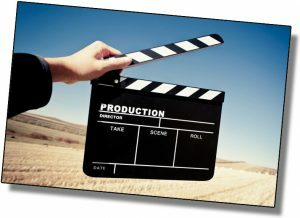 To make securing video production services a fun and painless experience.